The Sunny Health & Fitness SF-T7635 is a good electric-powered treadmill for home use that’s relatively low-priced and offers a variety of programs, speed ranges and manual-adjustable inclines to keep your workouts interesting and challenging. 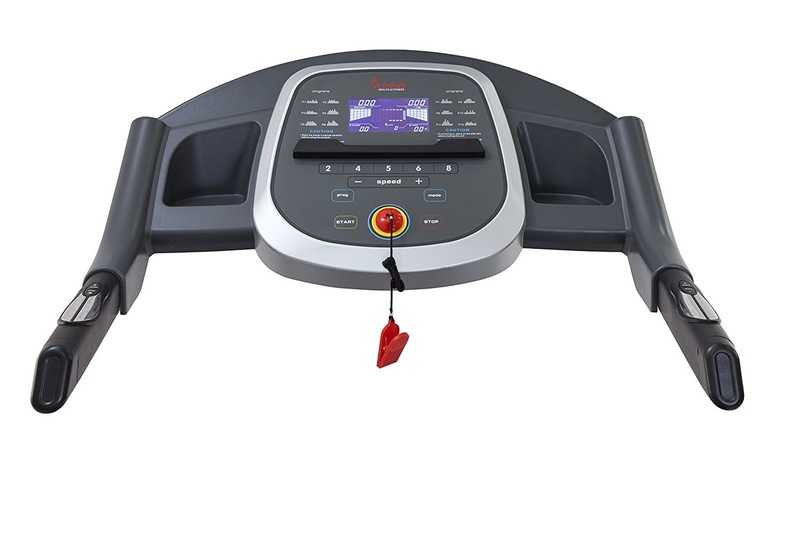 The Sunny Health & Fitness SF-T7635 Treadmill utilizes a powerful 2.2 peak DC HP motor, offering a speed range from 0.6 to 9.5 mph. For ease of use, there are Quick Speed button settings for 2, 4, 5, 6 or 8 mph on the console and Quick Adjust buttons on the handrails. The Sunny Health & Fitness SF-T7635 Treadmill’s running surface measures 17.3” wide by 51” long, accommodating a variety of stride lengths and is suitable for walking, jogging and running. The SF-T7635’s 3-levels of manual-adjustable incline can be adjusted by the peg at the rear base end of the deck and can be adjusted from 0, 1 and 1.8 degrees. To keep your workouts varied, the Sunny SF-T7635 Treadmill offers 12 preset interval workout programs. Motivating workout stats are displayed on the SF-T7635’s backlit LCD console display, including time, speed, distance, calories, step count and pulse. The matrix window display also shows a 1/4 mile digital running track which counts how many laps you’ve completed. 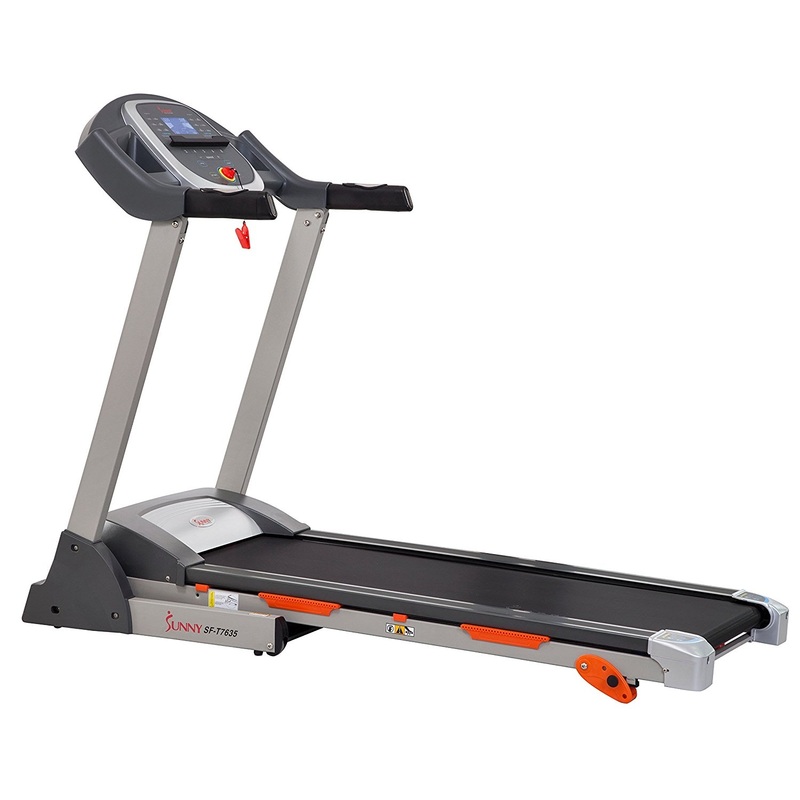 The Sunny SF-T7635 features integrated pulse grip heart-rate sensors in the treadmill’s handrails to help you reach and maintain your target heart rate zone during your workout. 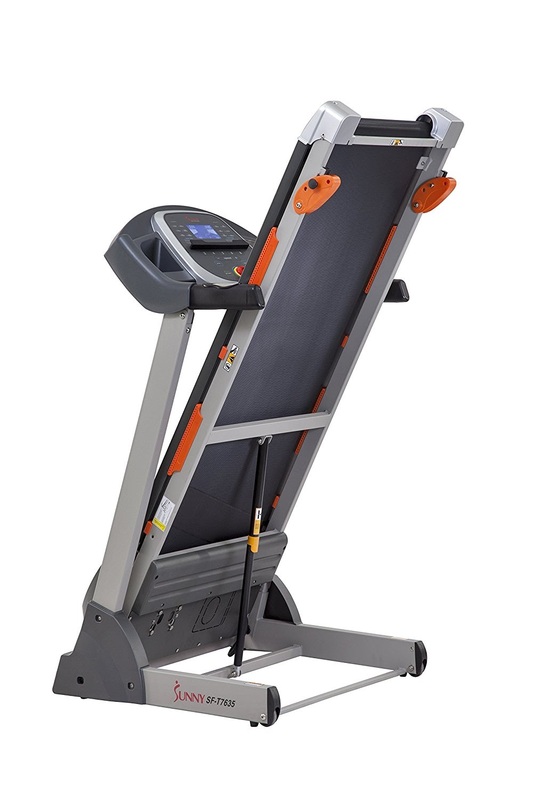 The Sunny Health & Fitness SF-T7635 Treadmill is sturdily built, allowing for a maximum user weight capacity of up to 265 lbs. 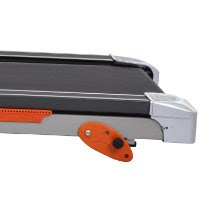 With its space-saving folding deck design, the Sunny Health & Fitness SF-T7635 Treadmill features an easy-to-use folding mechanism and Soft Drop system that ensures safe and hassle-free folding and unfolding of the treadmill deck. This Soft Drop system is air pressurized for slow and hands-free “dropping” of the deck.